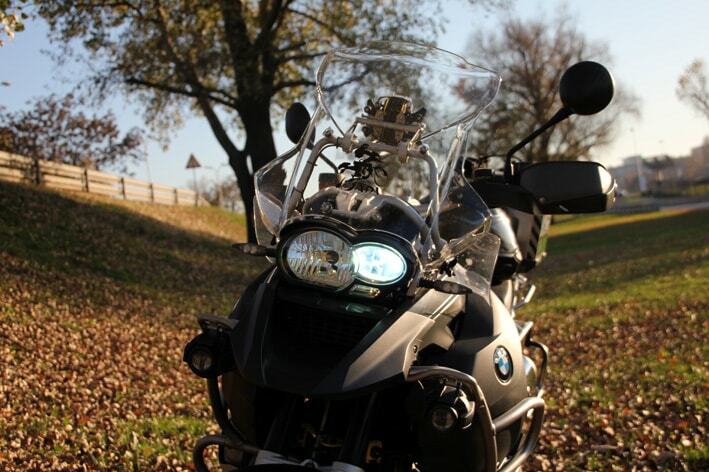 BMW R1200GS Adventure was build for traveling around the World on and of the pavement. BMW Motorrad tried to make it perfect, so that we adventure riders don’t have too much things to tweak, like we always do. This is the list of modifications I made on my 2012 BMW R1200GS Adventure and this model is one of the last in series of air-cooled engines. After 50 000 km on the road with this machine I can only say that BMW R1200GS Adventure is a really great bike, especially this series because BMW fixed and improved almost every technical glitch they had on this type of engine. And yes, I am one of those ‘air-cooled engine’ fans and I can’t find any reason why they changed such perfect concept. So lets jump straight to the modifications for BMW R1200GS Adventure 2012. Xenon lights – for this kind of adventure bike serial lights are to week and dull if you ride during the night and this will happen if you go long distance. I have installed xenon on main headlight and this was like a big, big improvement. Visibility in distance and also wide angle visibility was dramatically improved. Just a pleasure to ride during the night and you can read the road better because all contours are very clear and visible. GPS Garmin Zumo 350 – you can’t go on the road without GPS. I mean you can, but why wouldn’t you use technology and help yourself out. Especially when, at the and of the day, you arrive in some big town and you are trying to find your room with the shower fast. 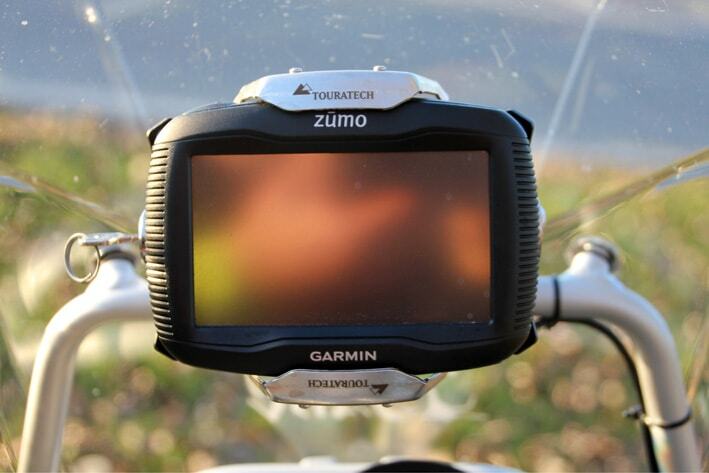 Zumo 3 series is perfect size, visibility under sunlight is also very good and navigation works well. This one is waterproof which is a must and it has clever mount which enables easy and fast removal. Also, power connector is waterproof when GPS is not installed. To fix it on my BMW 1200GS Adventure, I used Turatech bracket that connects to the windscreen support bar. 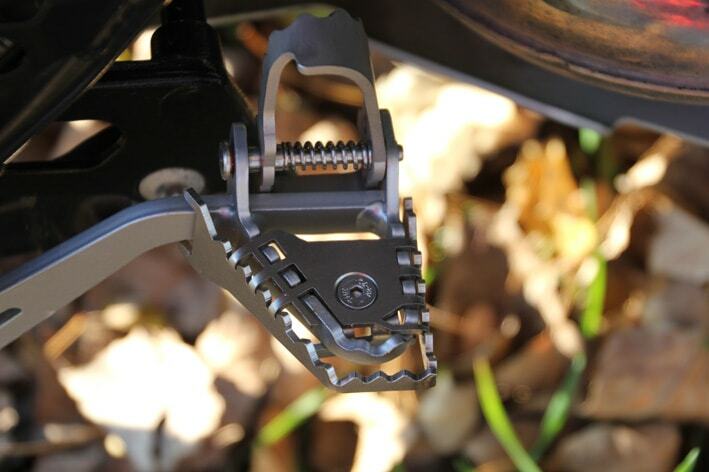 Rear brake footprint – I had to do this upgrade very fast because I have big footprint. Original size was to small and it was hard for me to use the rear brake. This one from Touratech fixed the problem and in combination with BMW offroad vertical extension this works perfect now off road. 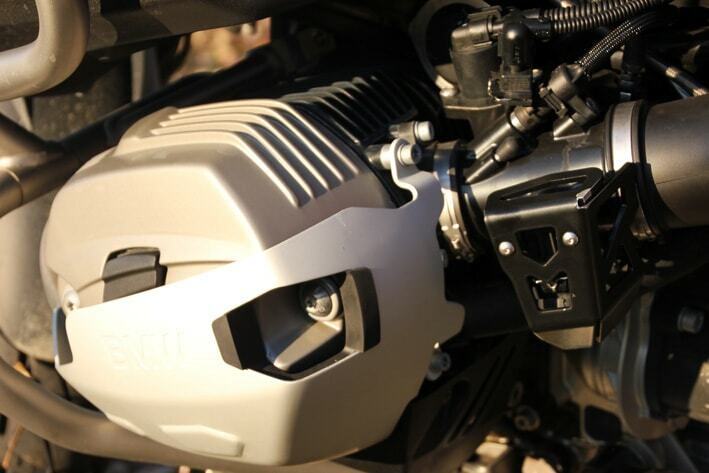 Bash plate engine cover – I ordered big one from BMW because the stock one was to small. If you go off road, you will literally hear this was a good decision when rocks starts hitting it. In my opinion, bigger one from BMW is good because it protects engine bellow and also exhaust pipes in front and on sides. It also looks good to me. 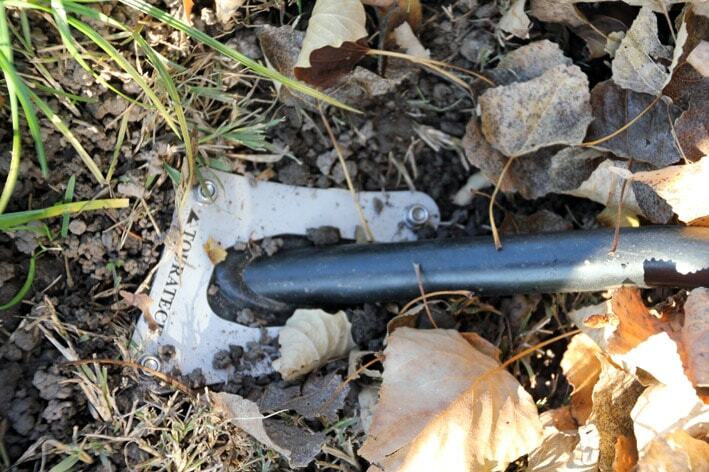 Steering stop – this is a clever one from Turatech. This nice big machine will want to go down sometimes. You have to accept this and it is hard in the beginning. When bike falls down hard, standard steering stop on the yokes and calliper support can be bent and damaged and this is an expensive repair. 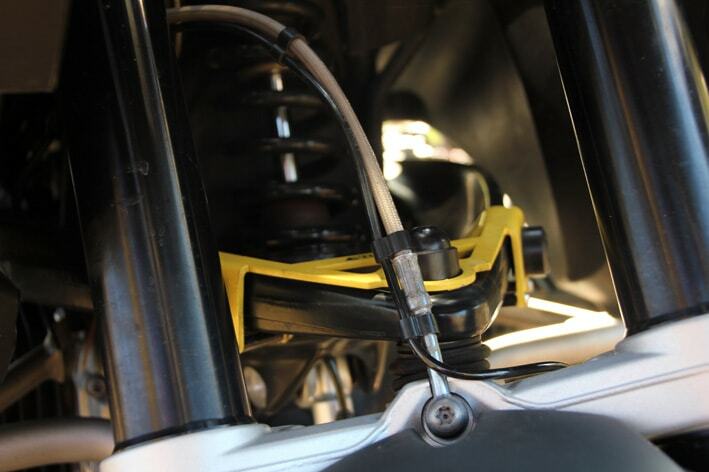 Kick stand support extension – My BMW R1200GS Adventure fell over in the mountain very soon after I bought it. For the size of bike, especially fully loaded with panniers and bags, the stock kick stand support is definitely to small for muddy ground. I bought Turatech extension and I had to trim it a little, because the original was hitting my exhaust protector, and it works fine now. Handlebar extension – I just wasn’t very comfortable while standing and driving off road, handlebar was pulling me to much forward. I used 30mm Turatech extension and I am 188cm and maybe I even need a little bigger extension. With this extension, clutch cables have a little bit of tension when handlebar is full to the right. Nothing to worry, but with bigger extension longer cables would be needed. It takes time to find best handlebar position. 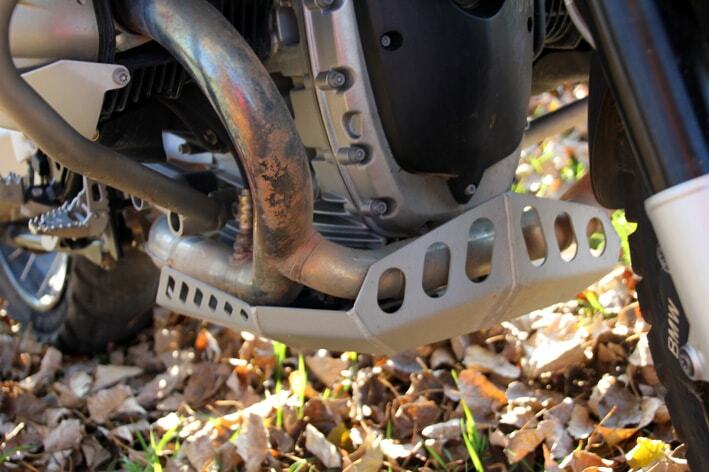 Oil cooler guard – very needed if you go offroad. Stones can get in it, especially when you are riding behind someone and if oil cooler gets hit, your day may be over very soon. 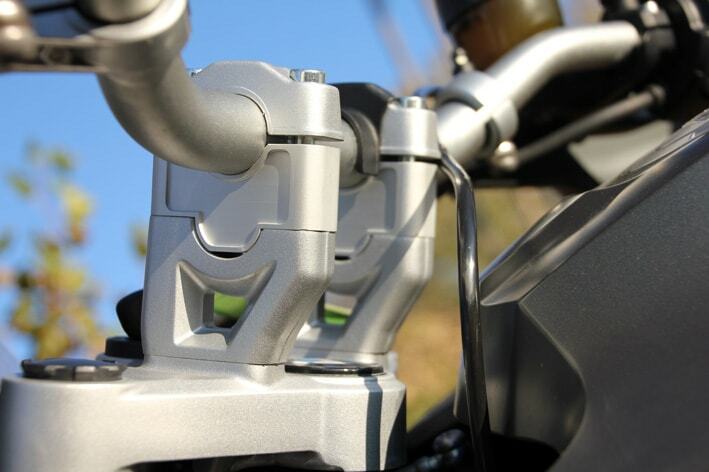 Manifold exhaust flap protection – this one also adds to the off road look of the bike but it also protects exposed flap against stones and branches. Flap is very low so I decided to install it to prevent damage. Throttle potentiometer cover – this looked to much exposed at first. It is an important part and if it gets damaged by the rock or when bike goes down off road, that’s it, you’re stuck. Also, you can damage it on your own because it’s close to your boots. I installed it very soon after buying BMW R1200 GS Adventure. It looks good too. 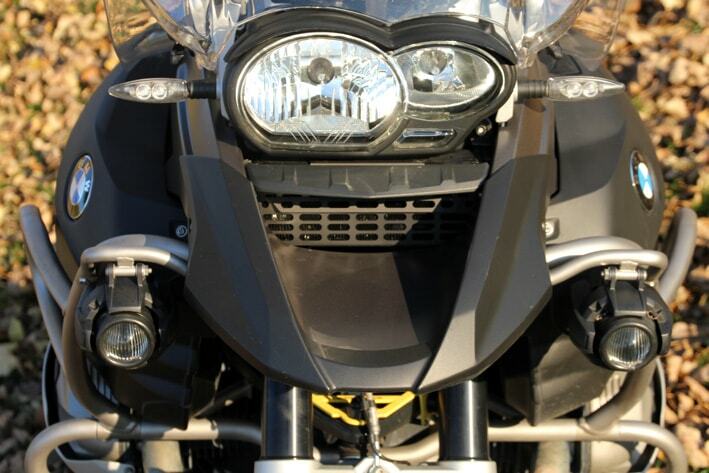 Anti-glare shield – it looks good and I had it on BMW F800 GS also. I bought it because it’s like my signature on the bike but it really works good in reducing glare from the windscreen when riding at night. 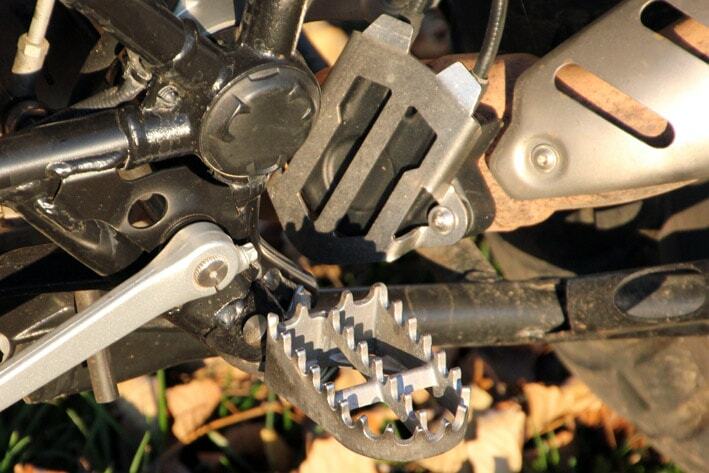 Drive shaft crash bungs – i wish I had this when I lost it on the road. It was not very hard fall at all, I was going slow in the rain but shaft was damaged because I slided a lot on the road. This bung can prevent this by keeping shaft cleared from the pavement when sliding. I would say must have. 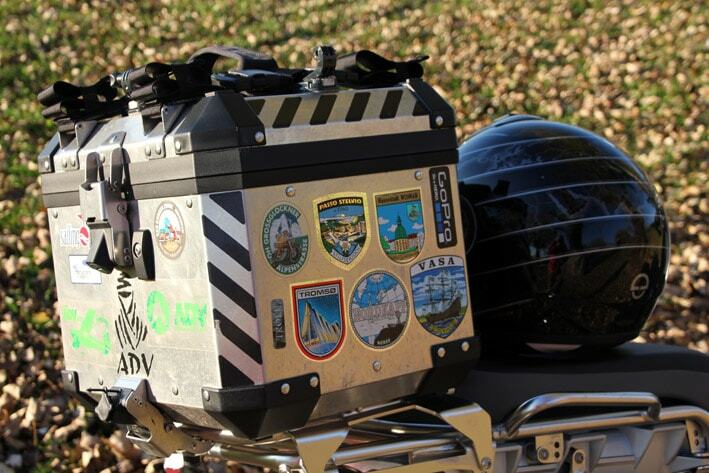 Reflective tape on panniers – pretty much self explanatory. It helps your visibility in the traffic at night. Straps for panniers – very useful to tie your water proof bags and also very useful when going shopping with your big adventure bike. I ordered these with BMW panniers. I hope these advices will help you find best mix of accessories for your BMW 1200GS Adventure. I remember I enjoyed a lot reading different opinions and advices when I was deciding what to upgrade. Ride safe and enjoy your adventures with this great motorcycle.